What’s better than cheesecake for breakfast? NOTHING! 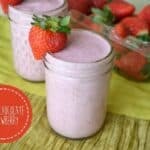 You’re going to love this Strawberry Protein Shake because it tastes exactly like strawberry cheesecake. 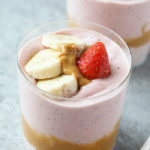 This protein powder smoothie recipe is made with just a few simple ingredients: frozen strawberries, bananas, vanilla protein powder, Greek yogurt, and almond milk. 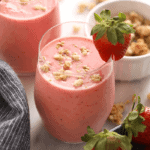 Talk about one tasty protein shake recipe. I mean, just look at how gorgeous that baby is. 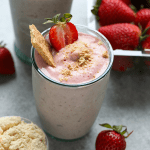 We love protein smoothies at Fit Foodie HQ and we’re so excited about this Strawberry Protein Shake recipe because it’s delicious and super simple to make. If you asked us what kind of protein powder we prefer for this recipe, we’d say one of the whey proteins. 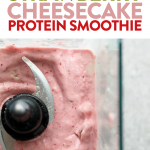 That’s what gives this protein shake a cheesecake-like texture and flavor. 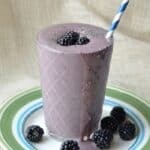 Now that you know about our favorite protein powders for smoothies it’s time to get your protein shake on! 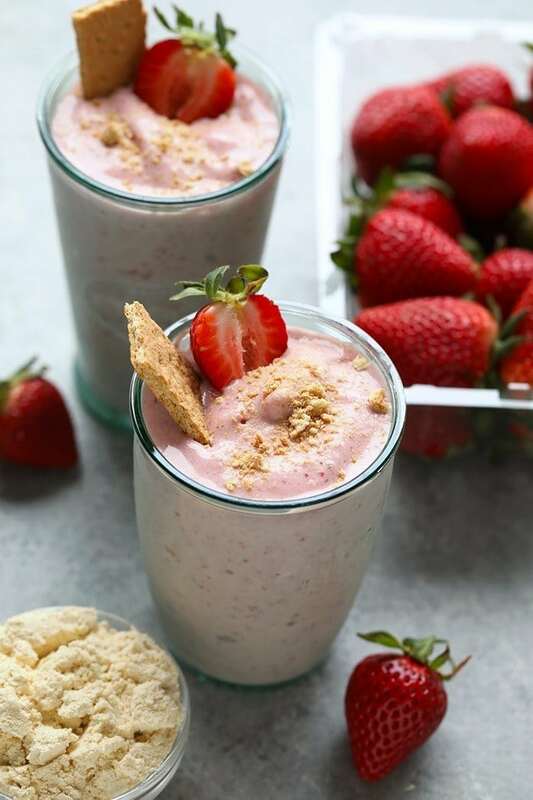 Whether you call this a strawberry protein shake or a strawberry protein smoothie, this recipe is super simple and tastes exactly like cheesecake. You can thank the combination protein powder and Greek yogurt for that…creamy and thick. 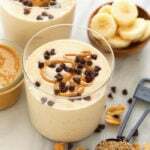 As always, make sure you use a high-quality blender for your protein powder smoothie recipes. The key is blending everything super well so that there are no lumps or bumps. 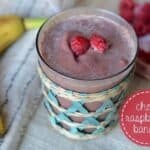 If you are a protein smoothie lover like me, check out some of our other popular protein shake recipes below! Place all ingredients into a high-speed blender and blend until smooth. Add more almond milk as needed depending on preference. After 4 full (FULL) days in LA I think it is safe to say that Southern California is Heaven on Earth. Legitimately. When you wake up the weather is perfect and when you go to bed the weather is perfect. The sun is somehow always shining and the birds are always chirping. It’s just perfect. 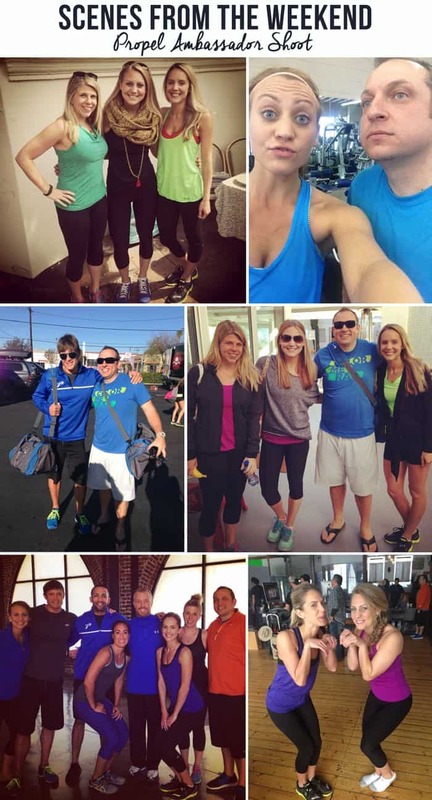 I can’t begin to tell you how amazing of an experience the Propel Ambassador Shoot was. I feel like I’ve been best friends since kindergarden with the 6 other ambassadors that went. There was an instant connection, so much laughter, and such great energy! I haven’t had time to go into detail just yet on the past for days in LA with the Propel Team…but here are some iphone photos and a little behind the scene look. You can also do some stalking on Instagram.